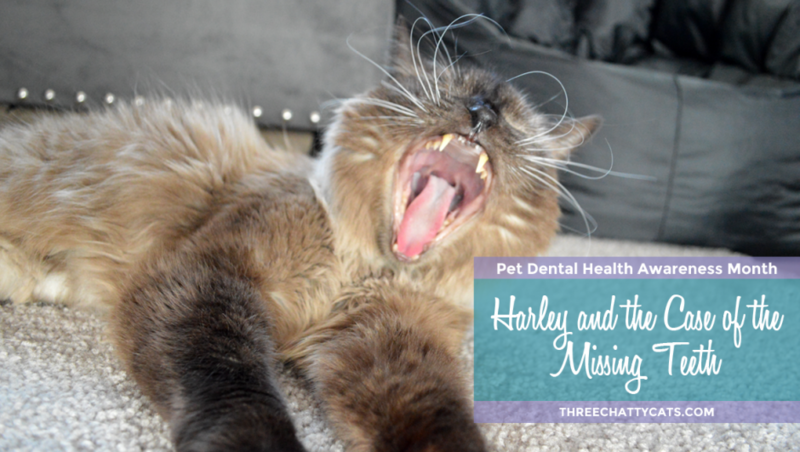 That’s right, folks…poor Harley had a dental cleaning this month, which actually is very timely since February is Pet Dental Health Awareness Month. Since Harley is an older cat – not old, but older – at nine years and some change, we thought it would be a good idea to take him to the vet once we adopted him to get his baseline with blood work and weight, etc. So in January, we did a full workup on him and everything came back glowing! Except for his teeth. They could tell he needed some extractions and a really good cleaning. Since we’d already paid for the blood work and I didn’t want that to expire and need another set before his dental, we scheduled it quickly. Fast forward to the big day on February 5th. I dropped him off at seven in the morning so they could do his pre-dental exam. After doing the x-rays, they determined that 10 teeth needed to come out. Ten! 10! ¡Diez! The 10 teeth? They included all of his upper premolars and molars due to root exposure and cavities, his upper right canine which had a large amount of pocketing (a large hole between the gums and tooth), and his lower left third premolar which had a cavity of the crown. And to top it off, Harley had his lower right canine filed down a bit to prevent it from striking his upper lip. Poor guy! Harley did well under anesthesia, and they monitored him most of the day after the procedure. I was allowed to pick him up in the afternoon. When we got home, he ran right out of his carrier and was pretty much himself. At dinnertime, I added water to his wet food and he chowed down like normal, or I guess I should say he lapped it up since it was soupier than normal. But he showed no discomfort. I withheld anything with a crunch for six days. You can see the tiniest bit of drool (and how cross-eyed he is!). One week later at his checkup, the vet said he was healing up nicely. I reported that he did well at home and throughout the week. The only noticeable difference was that I saw him drool a bit. Our vet said that’s not uncommon after a dental and especially because he had (dissolvable) stitches, and that the drooling should stop over time (and it has). 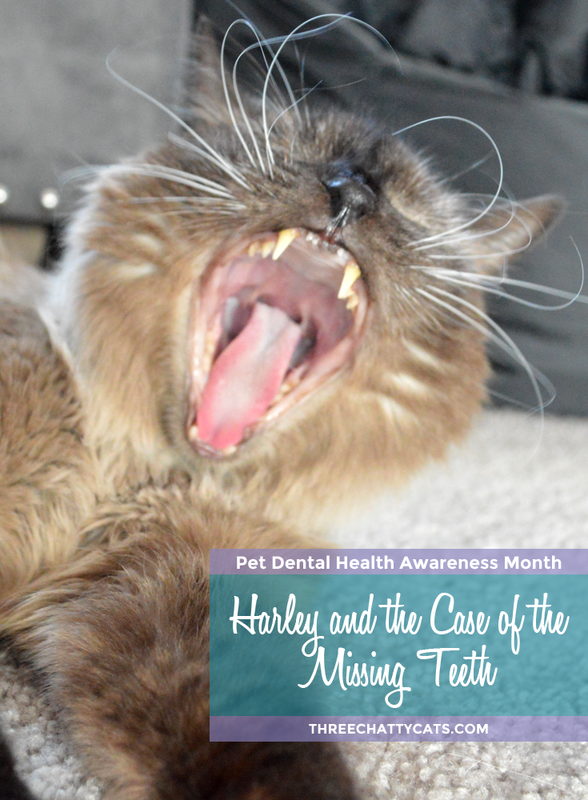 Since February is Pet Dental Health Awareness Month, here are some things to look for regarding periodontal disease in cats (this month and every month, of course). Even if you can’t tell by simply looking in your cat’s mouth, they could have damaged or infected teeth, causing them pain or discomfort. If you take your cat to the vet regularly, your vet should be able to identify signs of periodontal disease. Your vet will examine your cat’s mouth and overall oral health at each routine vet visit. They will also advise if your cat needs a dental cleaning. Some cats will require more frequent dental cleanings than other cats. But to help keep your cat’s mouth in tip-top shape, you can ask your vet about dental treats, oral rinses and dental wipes. You can also ask them to show you how to properly brush your cat’s teeth at home if your cat will allow it. Harley says he prefers dental treats. Always treats. Disclaimer: I am not a veterinarian, nor do I have any medical background. If you think your cat has signs of periodontal disease or needs a dental cleaning, you should consult your veterinarian. Has your cat ever needed a dental cleaning? Harley’s story is so similar to my Jonesy’s! Except Jonesy only lost two teeth. But the check-up, getting a senior baseline panel, moving quickly and using the same blood work, all the same. He, too, was lucky enough to have a good and easy recovery. Dental work is the MOST common issue we deal with at the rescue, after Upper Repiratory Infections. I’ll bet Harley feels much better after getting rid of all those bad teeth. I am so glad you got that dental thing taken care of Harley and I’m sure you will feel much better now! I’m glad Harley is doing well. Harley is so handsome with those gorgeous blue eyes and I just bet you he FEELS a lot better with his teeth fixed up! He probably got used to his mouth bothering him over time but now that it’s all cleaned up and out I just know he’s a happier boy. YAY! My Angel brother Sammy never had to even have his teeth cleaned in all his 17 years. He ate a dental diet kibble for many years until they quit making it THEN he ate only crunchy food until his last year when he loved baby food only. I’m not quite two yet and there’s been no mention of TEETH (yet) !! So glad that Harley got his teeth fixed! That can literally add years to his life. What a handsome boy, too, congrats on a wonderful new family member. I’m glad you’re doing well, Harley! I won’t let Mum clean my teeth. She tries but I only lick the fishy toothpaste she buys for me and don’t let her anywhere near my teeth. Angel has had one tooth extracted, and her recent vet visit gave her a big thumbs up for her teeth. Manny and CB are young, and they have good teeth. Sweetie and The PO’M both had dentals a few years ago, and Sweetie was missing 19 teeth! They cleaned up the rest, and she became a different kitty overnight! The PO’M was the same; he’s always the same. We lost our friendly feral Sammy to mouth disease, and I’ll never do that again! He’s a lucky kitty to have you and to have his dental issues seen to. Pet dental awareness is a hot topic in our house too because it seems that almost all our cats have some sort of dental issue. It’s a pity cats don’t get to chew like dogs do. If they did they’d have cleaner teeth. Also I don’t like the food that was recommended by our vet for teeth cleaning as it makes them fat! Harley looks like a strong healthy lad and he’ll do just fine with 10 less teeth! It’s just amazing to think what an impact bad teeth has on a cat’s health. I have two cats who have had full mouth extractions, except for their canines, due to stomatitis. Unfortunately, this is the only real remedy for stomatitis but both cats get along just fine without those teeth. I know Harley will feel much better now. tern ther selvez inta 50’s and 100’s !!! Oh Harley, you look great! You have a good home, and white teeth without pain, be happy! Hoping Harley is coming along fine after his dental work. My Angel Bobo used to have to go every few months for a cleaning (like a human). I remember that Vet telling me that much like humans, some dental problems in cats are heredity. Cody hasn’t had a cleaning yet…my Vet feels his teeth are fine without it (for now)…. Good boy! We know you will feel better very soon, if not already. Poor sweetheart for having such teeth that probably were painful. Many of us have had to have dental cleanings and some extractions and we always feel better afterward! Ten teeth stolen? TEN? All at once? MOUSES! I meant, HARLEY, not Harvey. Please forgive me. My claw slipped. MOUSES! 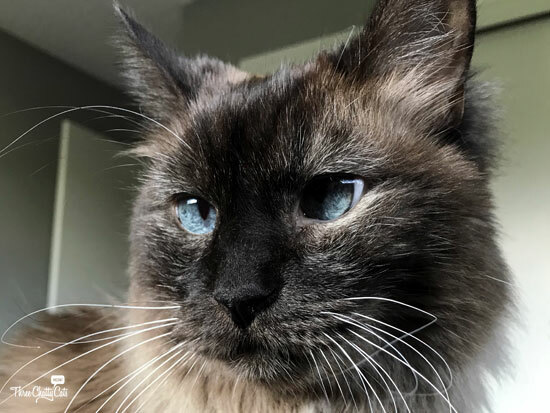 Even cross eyes that is one good looking kitty! Tiny dogs under 5 pounds are prone to major teeth issues. Most have lost their teeth before they even reach the age of 7. Especially sad given tiny dogs live longer … anywhere from 16-20 years. So we took it very seriously. So far it’s the anesthetic free dental cleaning that seems to have had the biggest “game changer” impact. He’s about to turn 8 and … no lost teeth yet! Hey Seville, you were thinking of OUR Harvey right? He had his ear tips done at the vet! 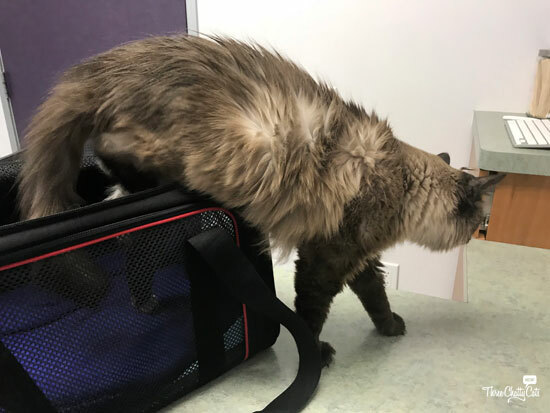 Harley seems to have come through his major dental OK. Cats are resilient and amazing creatures and having seen other cats undergo surgery like this I know Harley will be just fine once he has healed up. This is such a reassuring post for anyone whose cat has to undergo this procedure. Glad to hear Harley’s cleaning and extractions went well and healed up nicely. I’ve had two cats get dentals recently. Kylo Ren, who is only 2, had one about a year ago and they had to extract 4 teeth! Having bad teeth at such a young age, his dental health will always be something we need to monitor and will probably have to get somewhat regular cleanings done. Sophie also just had a dental last month, though they didn’t have to extract any teeth. Poor Harley! Don’t worry, buddy…you won’t miss those teeth…and you’ll probably feel better without them. Oh Harley you are such a trouper! 10 teeth! Wow. Well the good news is you won’t have to repeat that again. Good thing your mom was proactive about checking on your dental health. Good dental health is good for your overall health so that means plenty of long years of cuddles and treats to come! Glad to know you are on the mend and doing well handsome. Poor Harley!!! My childhood cat Patch had to have several extractions when I was a little girl…I think I was more traumatized by it than he was! Poor Harley. I bite my peeps so I’ve avoided those cleaning except when I went to a different vet who did unnecessary procedures just for the $$. Then they gave TW a liquid to put in my water and I never drank water again. 10! Good gravy, that’s a lot. Rosie is having a dental in a few weeks. She’s never needed one until now. They have warned us that she may need an extraction. I better not let her read this post about losing 10 teeth. Sending hugs to sweet Rosie! I’ve had cats with similar issues – I’m glad as pet parents we are learning and talking about this for cats and dogs. 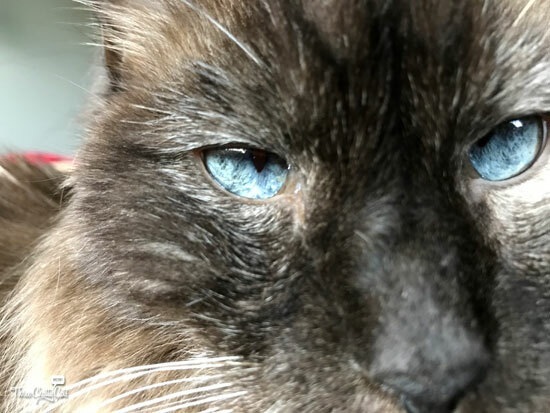 Our elderly cat Tibet had to go under anesthesia to have her teeth cleaned. She did well, no extractions luckily! She did drool for a bit but otherwise she is as healthy as can be they tell us! We are very happy for that. Poor Harley losing 10 teeth but you did a good thing! Dental issues in pets is as dangerous as in people! You spared Harley from a lot of other potential issues! More cats more cleanings more extractions. Never had 10 teeth pulled at once! Poor Harley, I will make sure the tooth fairy arrives soon. 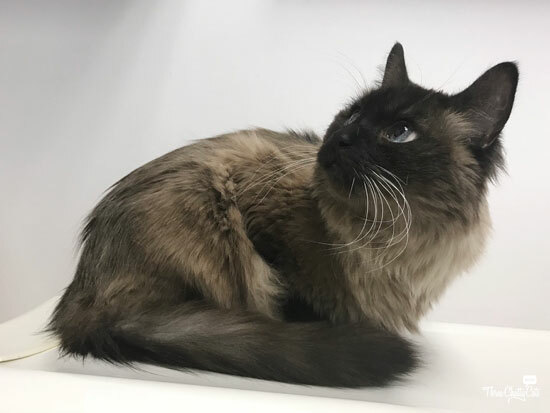 Tallulah has resorption and will be getting some extractions soon, she had an ultrasound today because she has a murmur and needed it checked before anesthesia. Harley is sending hugs to Tallulah! He also has a murmur, but a very mild one. Harley, we are glad you’re doing better, dude. We are sorry you had to have so many extractions. So sorry to hear Harley had to have all those extractions, but happy to hear he is recovering well. I’ve been extremely lucky that my four cats haven’t had dental problems. I’m ashamed to admit that I never learned to brush their teeth, but the girls to have bi-annual wellness exams and their teeth are examined. I fear they are nearing their first cleaning since they will be 7 years old this summer. Awww, poor Harley. Glad that everything got handled and went smoothly. I’m trying to be better about taking care of my dog’s teeth. So important! Harley is a beautiful boy! Congratulations, Harley, on your new home. The condition of his teeth before dental work must have been painful. I’m sure he’s not missing those teeth and won’t be wasting any time looking for them. We’re fostering a kitty right now and she will need to have some dental work done. Dental care is extremely important. Aww poor Harley. I hope he wasn’t in pain because of those 10 teeth that needed to go out! I bet he feels so much better now that the rotten teeth are gone! How many teeth do cats have? A friend of mine has a senior cat without any teeth, but he is still mousing! You are an incredibly calm cat mom. I would be freaking out over ten teeth being pulled. 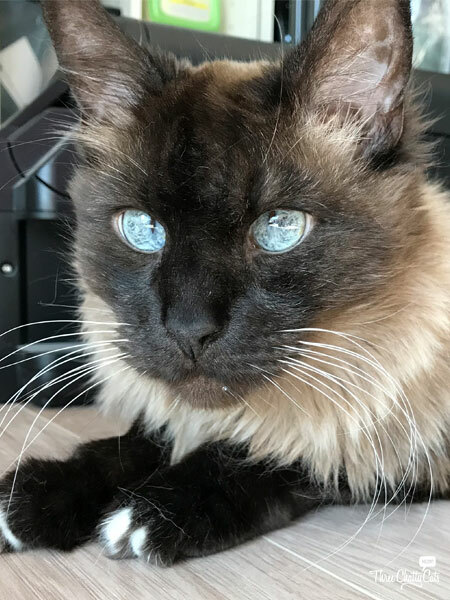 His beautiful blue eyes do say it all. I bet he doesn’t want to go through that experience again. I’m glad Harley’s doing well after the procedure, though. That’s what truly counts. He’s better and healthy now. I am glad Harley is doing well after his dental. I am sure he is feeling much better now. Poor Harley! Bear feels his pain – Bear’s first dental and extraction was around the time he was 2. I brush his teeth daily – but it doesn’t seem to make a dent in the pocketing beneath his teeth. 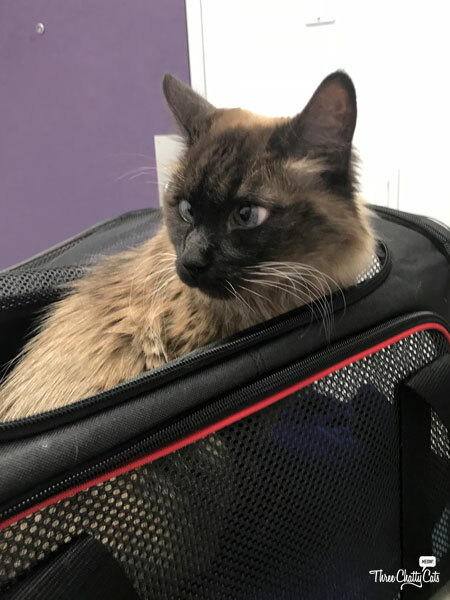 More times than I can count, the vet’s told me his teeth are GREAT only to have a tooth fall out or get inflamed out of the blue – within a week or a month. We’re so glad you hung in there, Harley. We bet eating is much less painful now! Hey Harley, that was some dental exam! You have slightly more teeth than Kali. Glad you’re doing well ole bot. Harley you will be smiling again in no time and it’s wonderful that you have humans who care so much and know what is best for you! Awwwww poor Harley, and we’re so glad it all went well! Pandora has a few gum issues and she’s due a visit soon… though she doesn’t know it yet! Oh, Harley! I feel your pain! In November I had FIVE teeth pulled! I had a bad reaction to the pain meds and I kept Mommy up for three nights. I’m glad this is behind us both and that you’re doing great! Harley certainly is a handsome cat. How is he fitting in? He’s doing very well! Definitely not the shy cat that his previous adopters reported.